Paediatric Occupational Therapy includes comprehensive assessment and treatment of children of all ages. Paediatric speech and language therapy provides assessment, diagnosis and treatment for children with speech, language, communication, feeding and swallowing difficulties. Paediatric physiotherapy is treatment of children and young people. We promote the health and wellbeing of children. A psychologist is able to engage hard to reach children and young people who are experiencing problems that may interfere with family life, successful learning, participation in school and other problems/ activities. 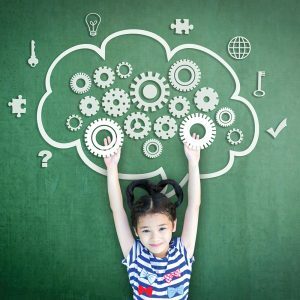 We offer full psycho-educational assessments and support for children who are experiencing barriers to their learning and participation in school and other activities. 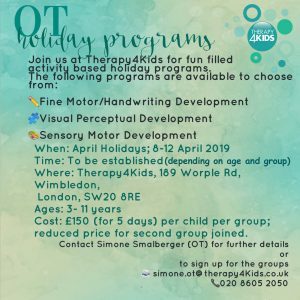 We are a private paediatric therapy practice based in South West London offering specialist Physiotherapy, Occupational Therapy, Speech and Language Therapy and Psychotherapy… just for kids! We are proud to offer excellence in expertise and service. Our approach is very hands-on and child-friendly, so we have a gentle, happy and relaxed environment in which to help your child reach his or her potential. Our dedicated team of Paediatric therapists are trained in a variety of techniques and continually involved in current training. This allows us to be on the forefront of paediatric therapy. As a result children come from as far as Ireland, Australia and South Africa for our advice and therapy input. We are pleased to announce an upcoming workshop with Dr. Esther Cole. Childhood anxiety is a very common and treatable problem. However, support can be difficult to access. Come to an interactive workshop designed to help you learn essential Cognitive Behavioural Tools to help your child.